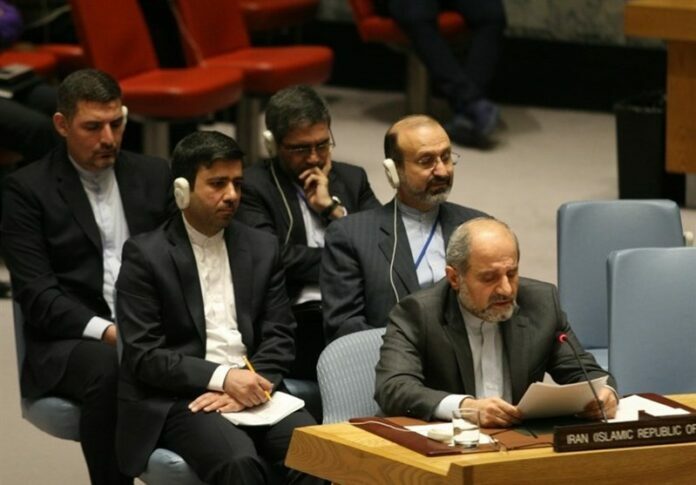 The Iranian deputy ambassador to the UN said the purpose of an American coup in Venezuela is to dominate the Latin American nation’s oil resources. Addressing a Tuesday meeting of the Non-Aligned Movement (NAM) about Venezuela, held at the United Nations Trusteeship Council, Eshaq Al-e-Habib called for an end to the US’ hostile, illegal and provocative policies. The Iranian envoy described the current developments in Venezuela as a domestic issue that does not threaten regional or international peace and security, MNA reported. Al-e-Habib further emphasized that no foreign action can be taken without the explicit consent of the government and no one can instruct Venezuelans what to do or not do, which system to choose or what policies to adopt. “Most importantly, no country or organization has the right to determine which of the national institutions of another country is democratic or legal. According to the Universal Declaration of Human Rights and the International Covenant on Civil and Political Rights, only the ‘will of the people’ will be the basis of legitimacy of the state,” he stated. Many countries, including Iran, Russia, China, Cuba, Turkey, South Africa, and Uruguay, have condemned the US position, stressing the need to respect Venezuela’s sovereignty and territorial integrity.